Organization Endowments Non-Profit organization uses the foundation to start and build its own endowment; distribution only to that organization. Donate Carl Jr. & Carol Belin Founders Fund: This fund was established to honor Mr. & Mrs. Belin, who are long time supports of charitable activities. Money earned in this fund also supports the Community Fund awards. Donate William & Pat Bishop Founders Fund:This fund was established to honor Mr. & Mrs. Bishop, who are long time supporters of charitable activities. Money earned in this fund also supports the Community Fund awards. Donate CBT Bank Financial Corp. Fund:This fund was established by employees of CBT Bank. Money earned in this fund also supports the Community Fund awards. Donate Kurtz Bros. Founders Fund: This fund was established by Kurtz Bros. employees in honor of deceased employees. Donate Community Fund:This fund earns money that the Foundation uses for annual awards. This fund was also created for open and undesignated gifts. Donate Robert M. Jr. & Marilyn Kurtz Founders Fund:This fund was established by Mr. & Mrs. Kurtz, who are long time supporters of charitable activities. Money earned in this fund also supports the Community Fund awards. Donate John K. Reilly, Jr. & Mary Ann Reilly Memorial Fund:This fund was established by friends of the late Honorable John K. Reilly, Jr. Money earned in this fund supports the Community Fund awards. Donate Clearfield Salvation Army Fund: Established by donor for the benefit of the Clearfield Salvation Army. Donate Sara Jane Mattern Fund:Established by Sara Jane Mattern for the benefit of four charitable organizations in Osceola Mills. Donate Bucktail Council/Camp Mountain Run Fund: To support the maintenance and development of the Bucktail Council/Camp Mountain Run for the Boy Scouts of America. Donate The CCL Donor Designated Fund: This fund was established by Robert M. Kurtz Jr. to support charities operating in Clearfield Borough, Curwensville Borough and Lawrence Township. Donate Curwensville Cemetery Association:Supports the upkeep and care of the Oak Hill Cemetery in Curwensville. 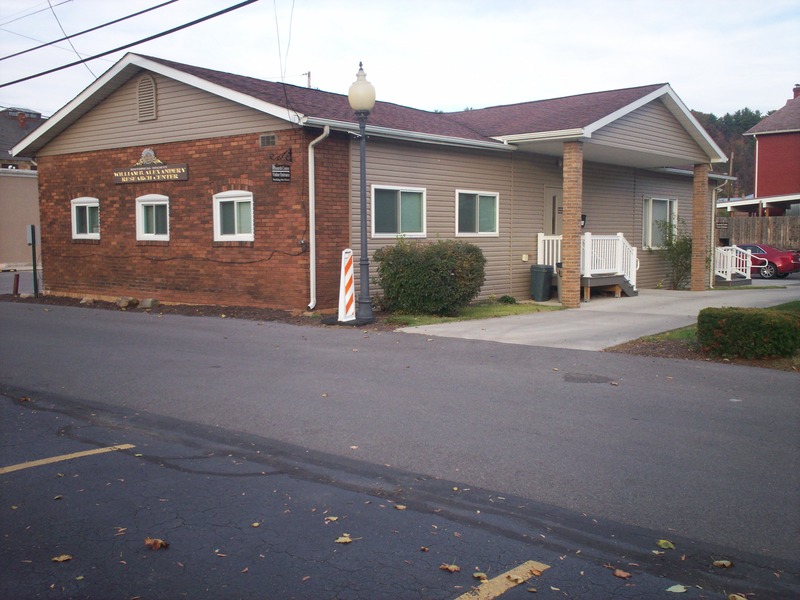 Donate Curwensville Library Building Fund: A fund to provide basic support of the library and to cover any necessary repairs or remodeling needs of the building. Donate The Kurtz Community Fund:The Kurtz Community Fund was established by Robert M. Kurtz Jr. to support five Clearfield charities: the Clearfield Children’s Aid Society, the Clearfield County Historical Society, the Joseph & Elizabeth Shaw Public Library, the Clearfield Salvation Army, and the Clearfield YMCA. Donate CNB Financial Corp. Fund: The purpose of the CNB Fund is to provide funding to deserving and qualified non-profit entities for the betterment of our community and its citizens. Donate Robert M. Kurtz, Jr. Donor Advised Fund:This fund was established for the benefit of charitable organizations in the community. Donate Curwensville Regional Development Corp. Donor Advised Fund:Established by the Curwensville Regional Development Corp. for the funding of various improvement projects in the Curwensville Area. Donate Resource Alternatives:A fund to engage exclusively in charitable, educational, and scientific purposes, including, for such purposes, the making of distributions to organizations that qualify as exempt organizations under section 501(c) (3) of the Internal Revenue code, including but not limited to the Clearfield-Jefferson Mental Health/Mental Retardation Program now known as Community Connections of Clearfield and Jefferson Counties. Donate Heritage Founders Fund: A designated fund, the Heritage Founders Fund was established to support the administrative functions and expenses of the Clearfield County Charitable Foundation. Donate Area Agency on Aging Active Living Endowment Fund: This fund was created to endow and provide support for new or changing program inititatives, with special emphasis on the growing “Boomer” population in the Clearfield area. Donate Children’s Aid Society Fund: This fund supports and enhances the Children’s Aid Society’s mission: to provide services which improve the quality of life for local children and families. Donate Clearfield Area United Way Endowment Fund:The Clearfield Area United Way Board of Directors created this fund to build an endowment for the United Way’s future. Donate Clearfield YMCA Fund:As an active community service organization, this fund was established by the Clearfield YMCA in on-going support of their local programs for persons of all ages, with a focus on youth. Donate Joseph & Elizabeth Shaw Public Library Fund:This fund was established to support the Joseph & Elizabeth Shaw Public Library’s mission to meet the recreational, educational, informational, and cultural needs of the community through print and non print materials, technology, programs, and services. Donate Clearfield County Historical Society:The funds are used to support the operation of the Society. Donate Clearfield Cemetery Company Fund:This endowment is for the perpetual care of Hillcrest Cemetery in Clearfield. Donate Clearfield Community Pool Fund:This fund will supply ongoing support of their mission to provide an outdoor aquatic facility for the community. Donate Kenneth McMillen Endowment Competitive Swimming Fund: This fund was established by Mrs. Kenneth McMillen to honor her late husband, who was avid supporter of competitive swimming. Grants from this fund support a wide variety of swimming related activities. Donate Basic Needs Fund:This fund was established by the Grant Committee of the Clearfield County Charitable Foundation, with special contributions from Peirce Park & Associates and others. Money from this fund provides assistance to food banks county-wide and other charitable groups that provide assistance to the truly needy. Donate Clearfield Revitalization Fund:These funds will be used to enhance the Clearfield Revitalization Corporation Main Street Program.